How very kind of Harold, a former president of CAS to say all these nice things. Congregation Agudath Sholom in Stamford has been blessed for the last 16 years having a magnificent educational director, Rabbi David Walk, who contributed so much to making Agudath the largest modern orthodox synagogue in New England. Rabbi Walk is moving to Israel at the end of this month, joining many of his children and grandchildren who are currently living there. 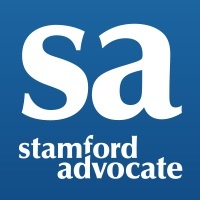 This message was sent via stamfordadvocate.com.